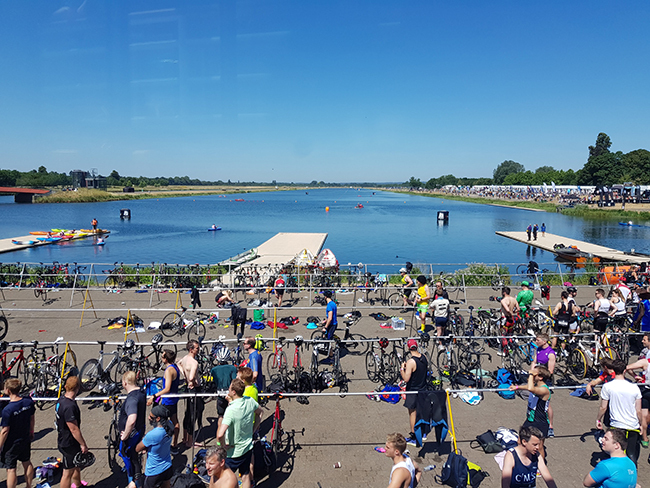 A team of 30-plus people from Tristan participated in the JLL Triathlon, three gruelling legs of swim, bike and run on quite possibly the hottest day of the year. Tristan fielded a cross-section of people from across the business, including participants from our London, Luxembourg and Milan offices. Honourable mentions go to Sam Weller, who joined the London office on Monday and ran in the Power Puff Girls’ fancy dress team along with Véronique Ries and Isabelle Bouger from Luxembourg, on Friday.